The best way to get the best most affordable price is to call us today for a free no obligation estimate on site. If there are just a few items, we may be able to estimate by phone. Call (855) 666-6735 Today! Your price is based on the size of the job and number of items. If you are satisfied with the estimate, we can usually complete your job right then and there! Many local junk haulers base their pricing on the number of pickup loads and the number of trips. 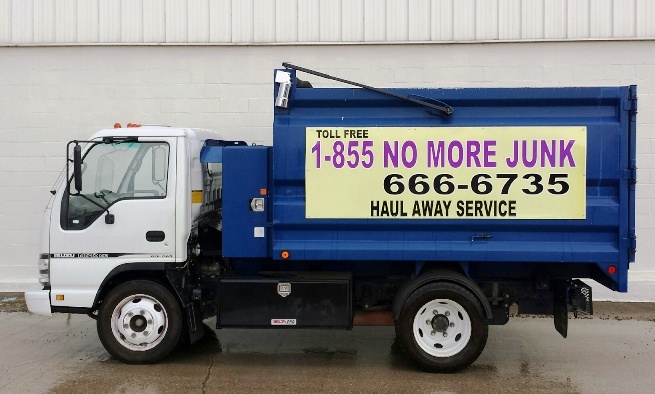 No More Junk® has a truck that can satisfy most needs in one single trip, thus saving you time and money. You save on time, gas, and mileage charges. If you want fast and reliable service at affordable prices, call today for a free quote and schedule your pickup. You can be junk free sooner than you think … with one phone call and no buttons to push and no forms to fill out. At No More Junk®, we are real people with a real service, and we are here to help.